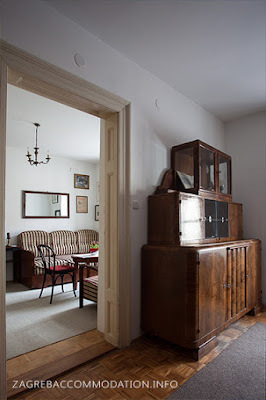 Apartment “History” is placed on the first floor of a 19th century house with beautiful view on the main square of Zagreb, capital of Croatia. Apartment “History” offers an alternative to expensive and limited hotel accommodation. Apartment offers comfort and privacy that you can not find in a hotel, and all of that at a much lower price.